The year of 1949 launched a bumpy journey of Bangzi Opera due to the break out of the civil war. 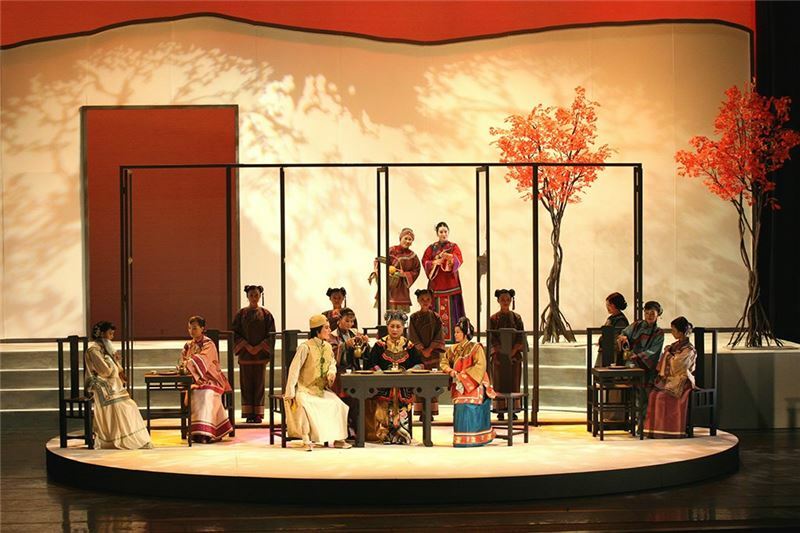 From Henan Province in the northern China, Bangzi Opera artists went through a series of risks and hardship to finally reach in Vietnam. The name of Zhungzhao Bangzi Opera Troupewas originally announced for a good settlement. Unfortunately, a sudden changein the political situation, they had to pack all of their belongings again tocross the sea. Their journey ended at a strange destination in the southern Taiwan; Zuoying was now the place to be home. 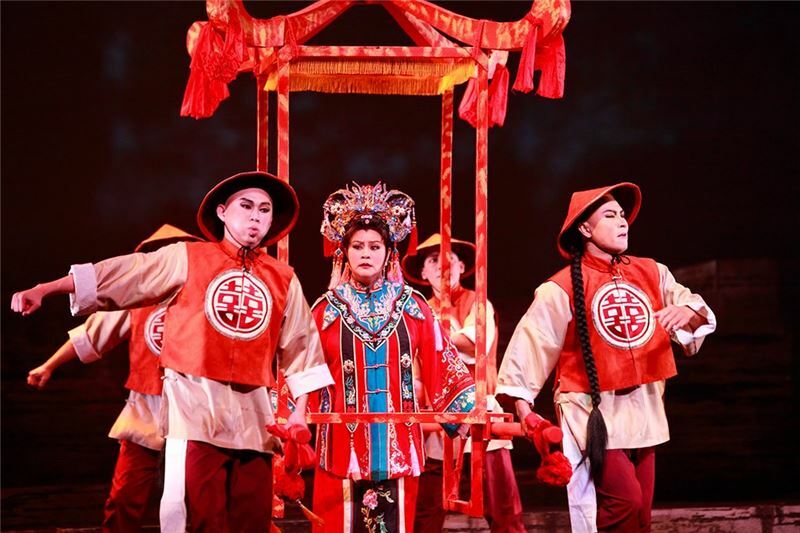 On the basis of Zhungzhao BangziOpera Troupe, Ms. Zhang Xiuyun, a leading diva of Bengzi Opera, appealed fellow enthusiasts to form the Flying Horse Bangzi Opera Team of Marines under the support of the Ministry of National Defense. The change of times haspushed the Flying Horse Bangzi Opera Team to move forward. On January 1st,1966, the team was shifted to be overseen by the Ministry of Education and renamed as the Bangzi Opera Branch of the National GuoGuang Opera Company. In 2008, it was reorganized to transform into Taiwan Bangzi Opera Company,supervised by the Council for Cultural Affairs. 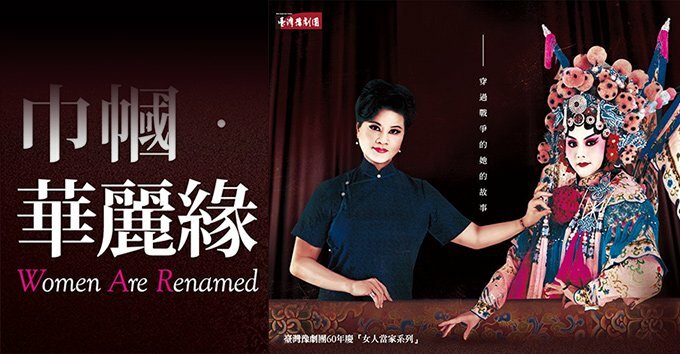 Then, after the establishment of the Ministry of Culture on May 20th, 2012, Taiwan Bangzi Opera Company was formally become a subordinate unit of the National Center for Traditional Arts. Six decades have not beenspent in vain. The company has been devoted to the duties on the transmission of traditional opera to future generations and the advancement of performing skills. On invitation to perform abroad, the company has visited South Korea,the USA, Canada, the UK, German, Italy, France, Singapore, Hong Kong and Mainland China. Meanwhile, the company has been actively organizing thecross-strait cultural exchange on performances and academic symposiums. Such endeavors have won the recognitions of the Mainland Affairs Council to grant the Outstanding Award for Cross-strait Cultural Exchange in five successive yearssince 2002. 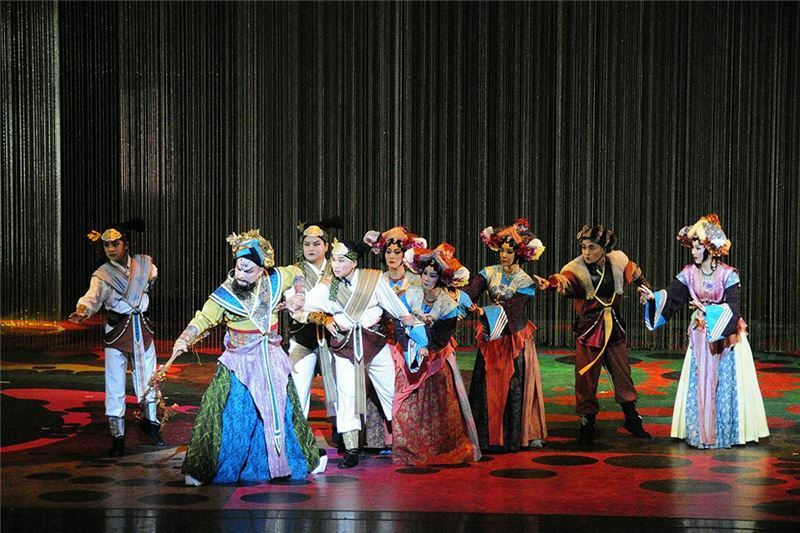 Taiwan Bangzi Opera Company produces at least one piece of new drama every year, which blends the old and the new, the orient and the western, and makes trans-boundary cooperation.Those creative pieces enjoying great popularities include classic plays, like Bao Gong’s Misjudgment, White Lotus,Fighting with Tao Sun-chun Three Times, Away from the Yang Gate, Leopard Cat Replaces the Prince, Clever Magistrate, the Level Seven Junior Officer, MengLijun, Yang Jinhua, Wong Betrays Guiying and Mu Guiying. New creations involve Qin Shaoyou and Su Xiaomei, Empress Wu and Waner, Madam Tien and ZhuangZhou, the Legend of the Young Lord Chi Huan, Empress Dowager Cixi and ConsortZhen, the Pavilion of Praying to the Moon and the Sorceress Bride. Trans-boundary works comprise Turando, the Tune of Bangzi –the Affection of Taiwan, Amitoubi, Bond – A Bangzi Opera Adaptation of the Merchant of Venice, Measure, Measrue! and Women Are Renamed. There are also plays adapted from existed scripts: the Big-foot Empress, Grand aunti Liu, Mei Long Township and A Red Plum Tree;local motifs:the Tale of Cao Gong, the Story of AZhuan and the Spring in Meishan; experimental productions: To Prove Wife! To Kill Wife! and LiuQingti’s Hell; children’s plays: PigBajie Makes Disturbance in the Spider’s Cave, the Romance of the Dragon Palace and the Money is Moving?! ; and junior Bangzi Opera work - Games of the Three Kingdoms. Among all, the piece of Empress Dowager Cixi and Consort Zhenwon the prize of the Best Production of Traditional Theater in the Golden BellAward in 2008. 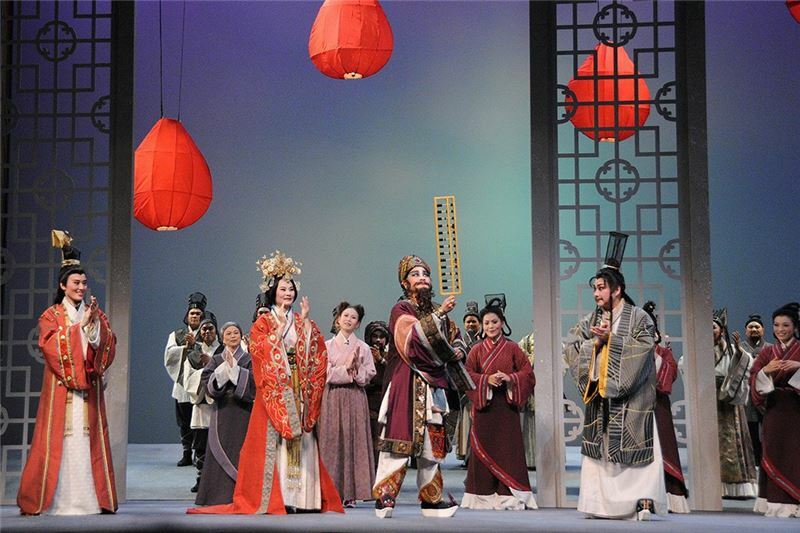 In order to spread the beautiful melody of Bangzi Opera, Taiwan Bangzi Opera Company has never stopped its footsteps. Being ready at every turn of the path, the company intends to explore a broader range of Bangzi Opera in a new artistic frontier and to link with the international stage. It is hoped that the refine aesthetics of traditional theater will be presented by exquisite performing skills. Taiwan Bangzi Opera is going to display a glaring look. Today the number of：65人 / The total number of visitors：131,027人 / Last Updated：2019/04/19.